You can now buy your visa online or apply for your Cuban passport in a few easy steps. Just read and follow the instructions carefully. Ahora puede aplicar para su visa en el internet o aplicar para su pasaporte Cubano en solo unos cuantos pasos sencillos. Solo lea y siga las instrucciones cuidadosamente. Cuba requires that all travelers arriving in the Country have a Tourist Card or Visa. This visa is to be purchased for all non-Cuban born travelers that are traveling under one of the 12 permitted categories. 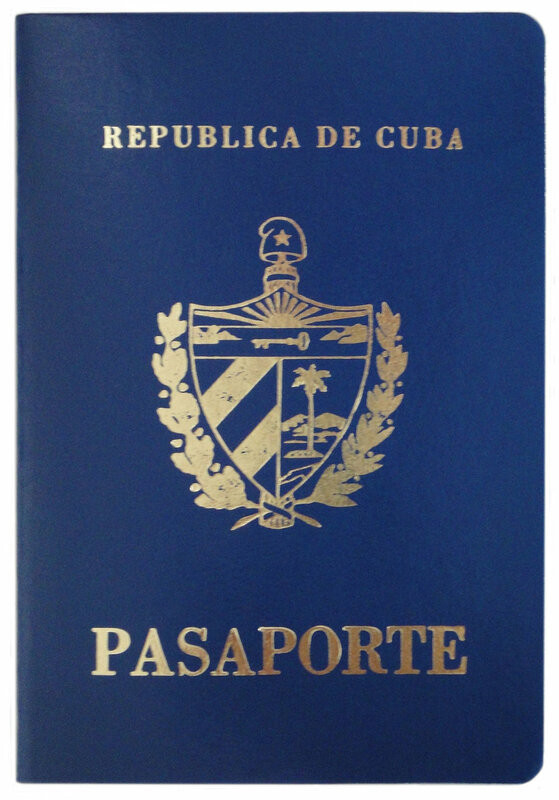 There are two documents you must have to travel to Cuba, a passport and the tourist card. The traveler must fill it out with black ink and no mistakes. In case of a mistake the traveler needs to purchase a new visa. The Tourist Card is perforated in two sections, the immigration representative will keep one portion and the second section will be turned in upon departure. *Please do not detach the two separate sides. Immigration in Cuba is responsible for this. TOURIST CARDS ARE NOT VALID FOR INDIVIDUALS BORN IN CUBA. FOR THOSE INDIVIDUALS BORN IN CUBA THE VISA ENTRY PROCESS IS DIFFERENT AND YOU MAY CONTACT US DIRECT AT INFO@CUBAVISASERVICES.COM FOR FURTHER INFORMATION ON THE PROCESS. You have two payment options to get your visa. Cash/check or Credit cards. There is a 5% processing fee in all credit card's transactions. If you choose the Cash/check option, notice that your visa wont be processed until we have received the full payment. You can mail in a check or drop it off at our office. address below. You also have three ways to receive your visa. Usted tiene dos opciones para hacer el pago de su tramite de pasaporte. Una es pagar en efectivo y la otra con tarjeta de credito o debito. Vea la diferencias de precios debajo. Por favor solo aga un tramite a la vez. Una vez que llene el formulario recibira un correo o llamada de nuestra oficina para darle mas instrucciones. Gracias por contar con ASC International USA para sus tramites consulares.